Back in the day, the joiner shop would limit as much waste as possible. It’s the same today in my shop…wood ain’t cheap. 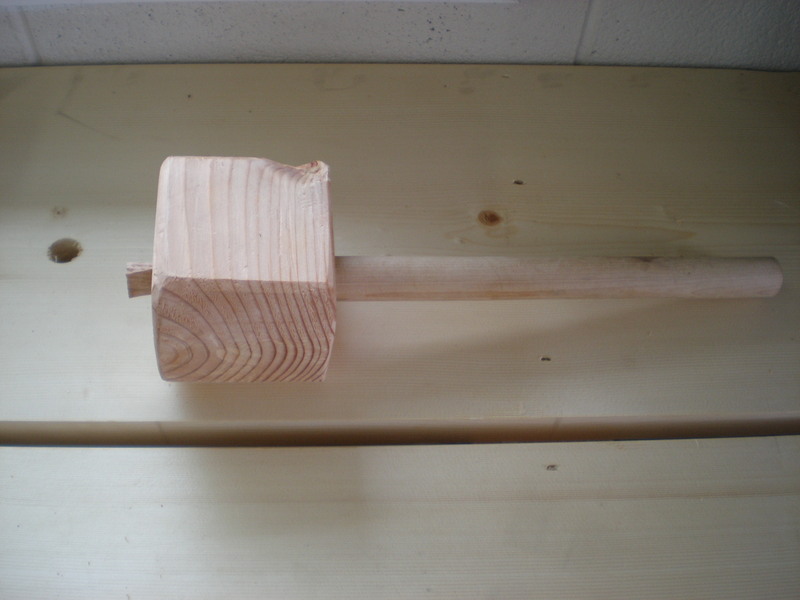 This mallet is made from the waste from one of the legs for the Nicholson bench. The handle is dowel stock wasted from the towel bar shelf. What is still left over from the workbench leg stock is currently under construction for use as my bench hook. The mallet head stock was already square and true…not sure if that matters anyways. I just marked a line to what I thought would make a good mallet head. I still have yet to measure it…doesn’t matter. I cut an angle off both sides of the front of the head; then cleaned it up with a block plane and chisel. I left the back of the mallet as I found it…ugly. The handle is just the dowel stock I mentioned earlier. I bored a hole through the mallet head and test fit the dowel. The length of the dowel was near perfect. What’s perfect? It feels nice in my hand…not too long, not too short. The last thing I did was install a wedge to hold the handle in place. 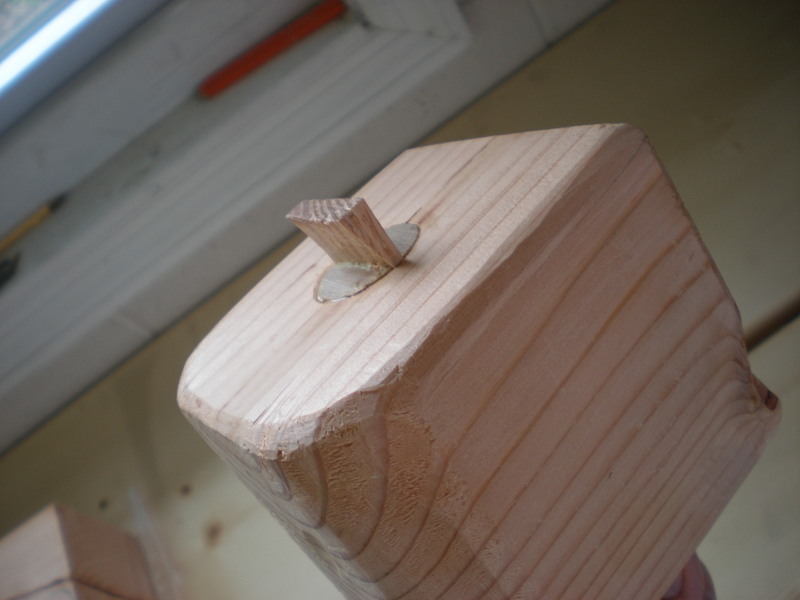 I cut a kerf using my tenon saw about and inch or so down the middle of the dowel. I split off a piece of red oak that I had in the scrap bin and trimmed it to fit the kerf. Then it was a little glue and a few whacks with the old hammer. 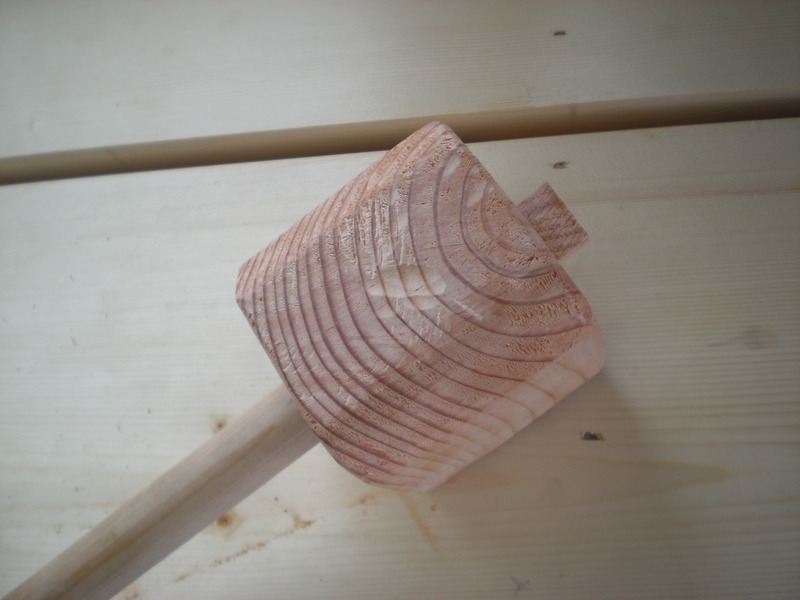 The next day I cut the wedge down with a x-cut saw and flushed it to the surface of the mallet head using a broad chisel. No finish used. I plan to use this puppy till I can’t use it anymore. It’s totally all about function…quick and dirty. I use the back of the mallet on my holdfasts, as the front was taking a beating. I reserve the front for chisel work and other wood on wood contact. This entry was posted in hand tools, tool review, VCF, woodworking and tagged hand tools, tool review, woodworker, woodworking, workbench by villagecustomfurniture. Bookmark the permalink.